One of the most difficult objections a Christian faces is what to do with the problem of evil. They claim the Christian God doesn't make sense given all the evil we see in the world today. Some non-believers play the objection like a trump card, thinking this proves the irrationality of believing in a divine being. I would encourage the Christian to not shy away from the question of evil in the world, but embrace it. That's because the problem of evil is a problem not simply for the Christian, but for everybody. There are a lot of things on which people of different political and social viewpoints disagree, but I think everyone can be in agreement that the world isn't as it should be. When atheists complain that all the evil in the world shows there is no God, they are admitting there is a right and wrong, and there's too much wrong in the world. Social justice warriors on college campuses try to silence what they deem as evil speech while those on the other side see the act of censorship itself as evil. ISIS, people suffering in the inner cities, regimes ruled by tyrants, kids starving in underdeveloped countries are all serious issues in need of thoughtful solutions. Because the problem of evil is a serious one, no one is off the hook. Every worldview needs to be able to at least begin to answer the question "what can be done about it?" How does the objector's worldview correct the problem? All seem to agree that the world is out of sorts and things aren't the way they should be. But what can be done to make evil less than it is now? How do different worldviews solve the problem of evil? When a man on an expedition finds he has damaged his only transport vehicle to the point where it isn't running reliably, he is faced with choosing one of three options. He may try to fix it himself. 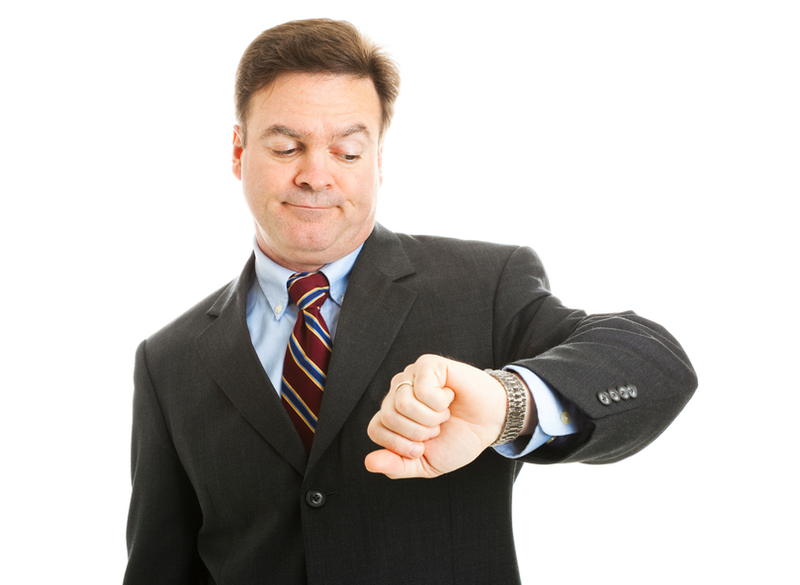 This is certainly the quickest way to solve the problem, but it isn't as easy as it sounds. Repairing a vehicle is complicated. It requires the proper diagnostics, the proper tools, the right replacement parts, and the proper knowledge. For example, modern vehicles equipped with computers and sensors cannot be fixed without high-tech tools. And the risk of assuming one is more capable than the person's skill warrants could lead to making things worse. A second option is the man may ignore the issues and continue to drive the vehicle. He may place a piece of tape over that warning light and hope all the stalls and grinding won't get too bad until he arrives at his destination. But when survival is at stake, this is certainly not a prudent idea. There's a high risk the vehicle will fail completely, leaving him stranded and in danger for his life. Or perhaps the brakes fail or the accelerator sticks and the vehicle could then cause his death. 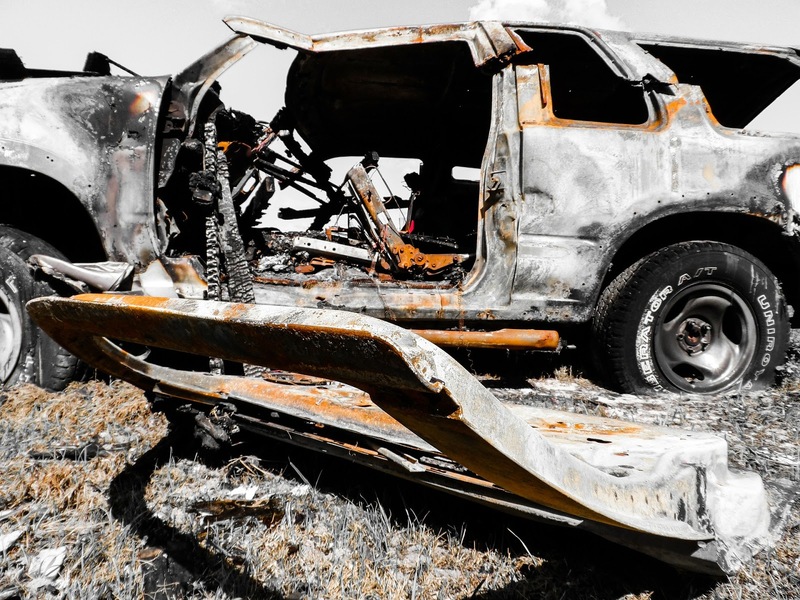 The third option for the man would be to return to the company from which he obtained the vehicle and ask those responsible for it to correct the defects or replace it. Once his vehicle is running as it should, he may proceed to explore the wonders of the unknown without concern for his travel. These strike me as the only options available and the man must choose at least one of them. 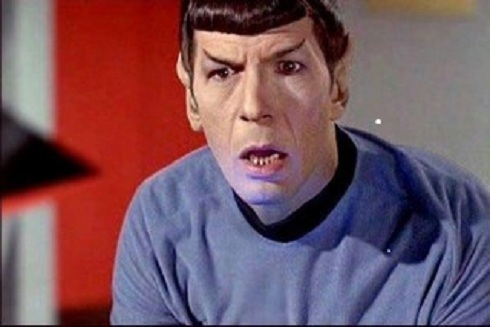 The options we face with the problem of evil are much like those the explorer faces. Some believe we can fix it all on our own. However, not everyone is agreed even on what constitutes evil. Hot button issues such as abortion, immigration, dictatorial regimes, persecution of people of faith, or persecution of LGBT people are just a few of the many, many, difficult and contrasting viewpoints we face today. How do we fix that? Further, what are the proper diagnostics to use? Everyone may say certain issues are obvious. Going back to our analogy, a fuel leak would certainly be a problem in need of repair. However if the vehicle you're diagnosing is an SR-71 plane, the plane is designed to leak fuel while on the ground. In the air the tanks expand and seal. If you "fix" the fuel leak on the ground, they will burst in operation. The second choice is to try and ignore the issue. One may hold this world as ultimately meaningless. In the final reality, one must not love too much or hate too much. All desires equally lead one astray. One must simply retreat within oneself in order to find Nirvana and become like a candle that has been blown out. Interestingly, there is a contingent within modern atheism that has chosen this second option in a different way. Given that we are all simply electro-chemical matter that happened to evolve over time by chance, good and evil don't really make sense. Nature is red in tooth and claw and that is simply the way it is. Black widows devour their mates, male chimps cannibalize male infants, and cone cannot assign a moral value to those acts. As animals, we are simply acting upon our urges, too. The third choice is to try and seek out the one who made the world in the first place. Certainly, there are people who don't fall neatly into one camp. They try to balance two or three of the options based on the situation at hand. But Christianity holds the high ground here. The Christian worldview holds that we cannot fix it ourselves, nor should we ignore evil. Christianity teaches that God must come down and fix the problem himself. And since it is God is the one who grounds all good, he can be relied upon to properly diagnose and fix the problem. This makes perfect sense. We've not yet come to the end of all evil. That will happen. But of all the different worldviews available, Christianity offers a rational solution to a pressing need. But remember the next time you may be asked "What about all the evil in the world," the problem of evil is as much of a problem for the atheist as it is for anyone else. Christianity is a literate faith. By that I mean it is written accounts of the life, death, and resurrection of Jesus that are at the center of Christian belief. The Gospel accounts and Paul's writings offer specific testimony to historical events that if proven false would mean Christianity is a sham. Because written testimony sits at the crux of Christian faith, it should come as no surprise that skeptics and critics call those written accounts into question. Many times, the doubt the critics voice is accompanied by a complaint of the lack of archaeological data. Take Resa Aslan's Zealot: The Life and Times of Jesus of Nazareth. In chapter three, he writes, "Despite the stories in the gospels about Jesus preaching in his hometown's synagogue, no archaeological evidence has been unearthed to indicate the presence of a synagogue in ancient Nazareth, though there could have been a small structure that served as such. "1 Aslan also points out there have been no inscriptions found to show the general population of Nazareth as literate. Keener is right on target here. First, the fact is we don't have archaeological evidence for much of ancient history. Very few things can last buried in the dirt for two thousand years and the things that seem significant in our day may not be significant in that day. How do we know just how literate the people of Nazareth are in the Hebrew Scriptures when the common language was koine Greek? Most writing was placed on perishable materials. 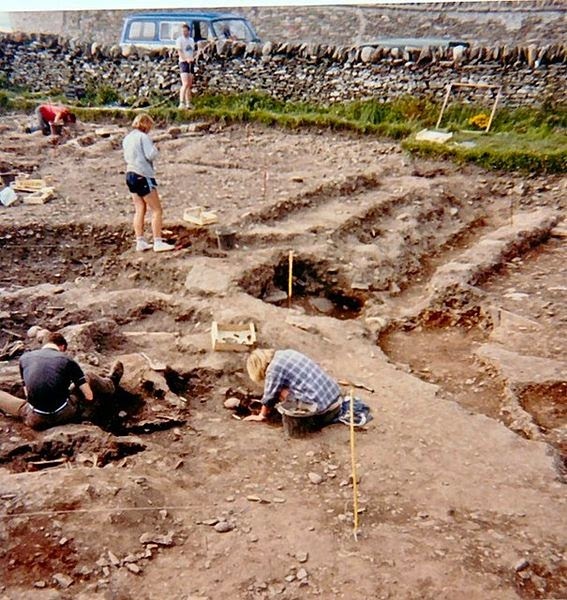 Archaeology is a great tool to help investigate events of the past. The Bible has been shown to be true in many details through archaeological evidence, such as the existence of the pool of Siloam, the existence of Pontius Pilate, the existence of Belshazzar and why he is the second king, and even Hezekiah's defiling of the pagan temples in Jerusalem. But archaeology is no more full proof that any other method of historical investigation as it needs to be interpreted and properly understood. The ancient written accounts we have help us make sense of the archaeology, just as the archaeology may help us make sense of the written accounts. But to try and call the story of Jesus into question simply because "no archaeological evidence has been unearthed" is disingenuous. 1. Aslan, Reza. ZEALOT: The Life and Times of Jesus of Nazareth. New York: Random House, 2013. Location 3511. Kindle. 2. Keener, Craig S. Acts: An Exegetical Commentary. Vol. 1. Grand Rapids, MI: Baker Academic, 2012.32. Print. 3. Harrington, Spenser PM. "Behind the Mask of Agamemnon." Archaeology Magazine. Archaeological Institute of America, Aug. 1999. Web. 01 Nov. 2016. The charge of contradiction is one that is easily made. It's simple to take two accounts of the same event that holds different details and claim that they are somehow contradictory. I hear this often when discussing the reliability of the Gospel accounts with skeptics. They claim that the birth narratives of Jesus are contradictory or the resurrection accounts offer opposing stories. The thing about claiming contradictions is that skeptics can easily make such charges while obstinately rejecting any attempts at understanding possible solutions. 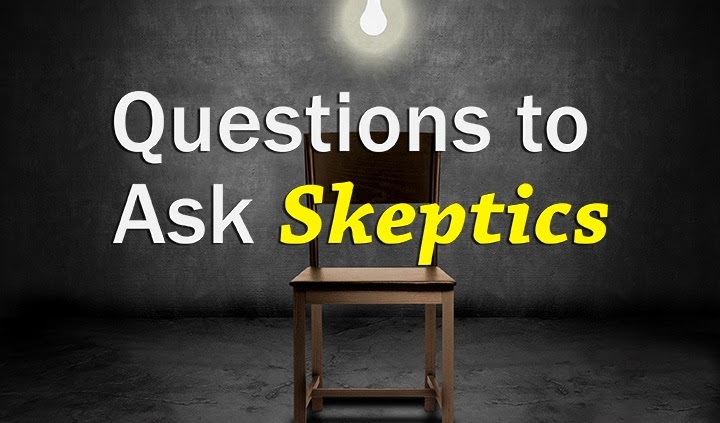 Skepticism only seems to run in their favor, as they are less skeptical about the claim of contradiction than they are of the reconciliation of the differences. But this isn't anything new. When Stillingfleet wrote these words, he did not have to deal with the New Atheists or the various charges that pass from page to page on the Internet. Yet, he notes that much intellectual exertion has been given to the study of the scriptures even to that point by those who would critically examine all its aspects. 200 years late, even more scholars have turned a critical eye towards the accounts of Jesus life, death and resurrection, and it still stands as strong as it has since its composition. It's easy to fall into the trap of expecting ancient documents to conform to 21st century practice, but as Stillingfleet states, drawing on such expectation to make the accusation of contradiction reflects a weak and unstudied mind who may hold a deep prejudice. As for specifics in dealing with contradictions, I've written a series of posts, some of which may be found here, here, and here. I've also offered offered some quick tips to keep in mind. While the charge of contradiction may be easy to lob, such charges may actually say more about the accuser than the documents. Let's not be too shaken when they appear. 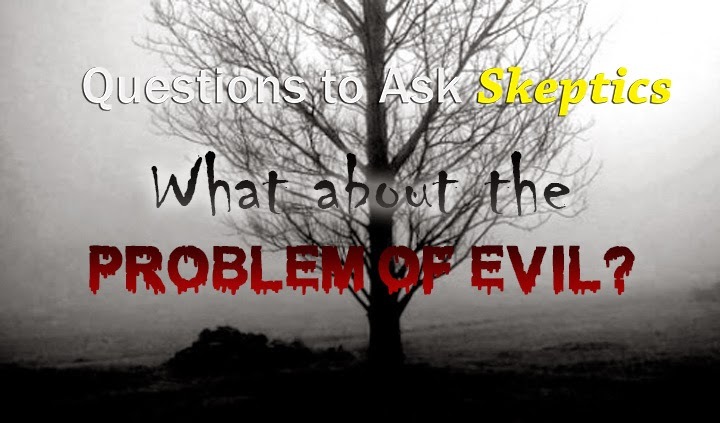 One of the more difficult questions many Christians face from skeptics is the question "How can a God exist when I see so much evil in the world?" While this is a challenge to many people, one should realize that the evil we face is more of a problem for the atheist worldview. In this short video clip, Lenny highlights how rather than disproving God, Christianity provides the most satisfying response to the human struggle with evil and suffering. 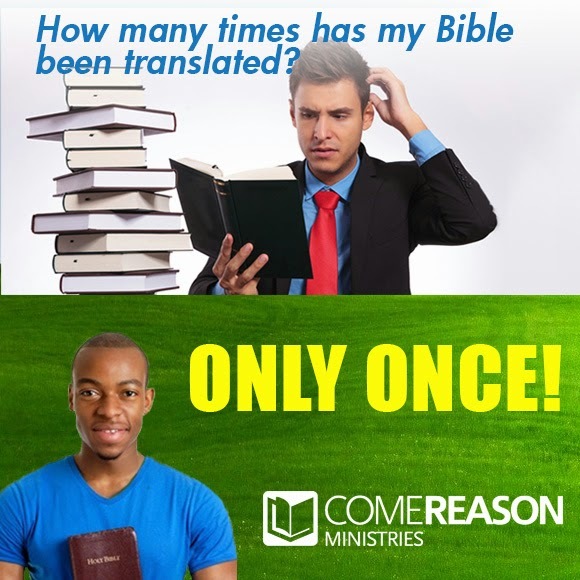 Is the Bible Reliable Since Its Been Translated So Many Times? When Google's translation page first came out, some friends and I would have a little fun translating the web page of our employer from English into another language like French or Japanese. We would then copy that text and paste it back into the Google translator and let the computer try to recreate the English. The final result was awkward and would produce pretty comical phrasing, with words implying something completely different from the original message. The reason we attempted such silliness is to try and intentionally confuse the translating robot. We knew that churning out a translation of a translation would force mistakes to be multiplied, a realization that takes no scholarship at all. Yet, this is the way many people assume the scholars responsible for our modern bibles have worked. Yesterday, a gentleman at my church said he had been in a conversation with a Muslim who said, "Your Bible has been translated so many times challenged by a Muslim on the validity of the Bible as it compared to the Qur'an." This isn't an uncommon claim and many atheists and non-believers have tried to make the same point. That's the thinking that many people have. yet this perception is so incredibly wrong it takes my breath away. But Christians seem to not know how to respond to such accusations, as the question posed to the man at church shows. Note that the translators state that they look at the originals and then look at other translations (the "many worthy men who went before us," such as Tyndale) to be better informed on their own word choice. Consulting existing translations is actually a benefit, as it adds more counselors to the translation efforts, not fewer. Yet, each and every translation begins and is compared against the original languages to ensure accuracy and compatibility. Your Bible, no matter which translation you choose, has been translated only one time, and straight from the original languages to English. 2. The Translation Oversight Committee. "Preface to the English Standard Version." About ESVBibleorg. Crossway, n.d. Web. 26 Jan. 2015. http://about.esvbible.org/about/preface/. 3. The Lockman Foundation. "Overview of the New American Standard Bible." The Lockman Foundation. The Lockman Foundation, n.d. Web. 26 Jan. 2015. http://www.lockman.org/nasb/index.php. 4. "The NIV Story." Biblica. Biblica, 13 Dec. 2013. Web. 26 Jan. 2015. http://www.biblica.com/en-us/the-niv-bible/niv-story/. 5. "King James Version Original Preface." DailyBible.com. BibleNetUSA, 2006. Web. 26 Jan. 2015. http://www.kjvbibles.com/kjpreface.htm. Because there have been so many finds that directly relate to the Bible, some Christians are keen to overreach on discoveries made just as some skeptics are equally keen to hurriedly disassociate archaeological finds of any biblical importance. Therefore, I'd like to look today at some of the limitations of archaeology. 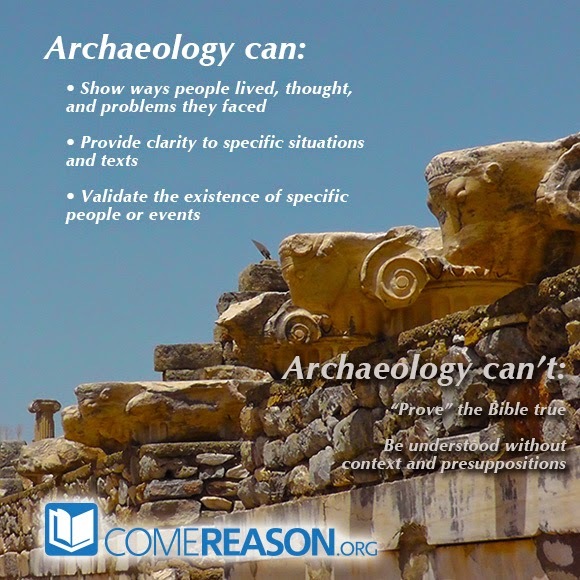 Archaeology cannot "prove the Bible true"
The first thing that we must understand is archaeology cannot provide proof that the Bible is the Word of God. There simply isn't any way to dig something up and say "Aha! Here's the find that shows God gave inspiration to Moses." Just as science has no way of testing for God residue, so archeology has no way of uncovering the source of supernatural inspiration buried in the earth. These are category errors. Science deals with the natural world and archaeology deals with whatever cultures left behind. Neither is a complete picture of all reality. That doesn't mean we cannot use what the archaeologists' spade uncovers to lend credence to the biblical accounts. As mentioned yesterday, we can demonstrate the historical reliability of the Bible and the fact that the accounts were written with intimate knowledge of the cultures they describe. It means that there is credibility to the claim that they were written at the times of the events they record. While the concept of bath houses versus breweries doesn't really affect the biblical accounts at all, it does illustrate just how much the interpretation of the archaeologist plays into the finds. Therefore, the Bible student needs to read through any new discoveries and hold lightly claims about finds that prove or disprove Biblical accounts unless they are definitive, such as Caiaphas' ossuary, inscribed with his name. The views of the archaeologists matter! 1 McDowell, Josh. The New Evidence That Demands a Verdict. Vol. II. Nashville, TN: T. Nelson, 1999. Print. 61. 2 Wood, Bryant G., PhD. "Did the Israelites Conquer Jericho? A New Look at the Archaeological Evidence." Associates for Biblical Research. Associates for Biblical Research, 01 May 2008. Web. 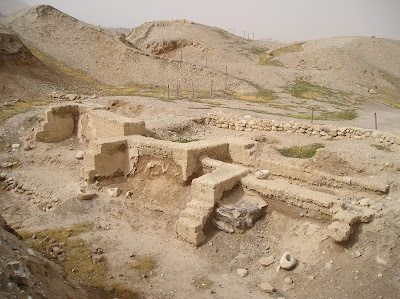 28 Oct. 2014. http://www.biblearchaeology.org/post/2008/05/01/Did-the-Israelites-Conquer-Jericho-A-New-Look-at-the-Archaeological-Evidence.aspx. 3 Dineley, Merryn and Graham. "Where Did the Vikings Make Their Ale?" Orkney Archaeological Society Newsletter 10 (Nov. 2013): 1-2. Academia.edu. Web. 28 Oct. 2014. http://www.academia.edu/4991706/Where_did_the_Vikings_make_their_ale. Image courtesy Whithorn Priory and licensed under the Creative Commons Attribution-Share Alike 2.5 Generic license. Discovering long buried evidences of the past is exciting. I've had a couple of opportunities to visit places that were very old and see ruins that were put together thousands of years ago. It was amazing to think of the people who were building those structures and how they lived. Because the Bible records events that also take place thousands of years ago, it seems that archaeology would be a natural way to investigate these stories. As archaeology has developed since the mid to late 1800's, the discipline has been used by some to corroborate the biblical accounts and by others to dismiss them. Therefore, I want to take a brief look at what archaeology can and cannot prove. Archaeology gives us a snapshot into the lives of people at a specific time. Sometimes a natural disaster, such as the eruption of Pompeii or the mudslide at Beit She'an freezes the area at a specific date. Other times, digs will uncover a culture that spans many years. However, by examining the houses, coins, pots and other materials, one can get a glimpse into the lives of those who lived in this period. For example, many scholars of earlier times doubts that Moses would have been able to write the detailed laws that make up the Levitical system by 1400 BC until archaeologists found the Code of Hammuabi, which also contains many complex laws and predates Moses' writings by about 300 years. Another benefit that archaeology provides is to clear up texts or customs that don't seem to make sense to us today. For example, in the book of Daniel, King Belshazzar becomes unnerved when a hand appears writing on the wall opposite him. He promises "the third highest position in the kingdom" to anyone who can read the text. This account was questioned because most ancient records showed Nabonidus as the king at this time. The offer of third highest ruler wasn't really understood, either, until the Cylinders of Nabonidus were found. There they say that while King Nabonidus was off fighting wars, his eldest son was named Belshazzar who he had left governing the city of Babylon. 1 Belshazzar's position of prince made him the second most powerful man in Babylon, so he could only offer another the third spot in the kingdom. The discovery of the cylinders clarified both Belshazzar's existence and the reason why he offered a third rulership to Daniel. Another thing that archaeology provides is verification that certain people, places, or events mentioned in the biblical text are real. As was shown in the example above, Belshazzar had to have existed since his father specifically mentioned him in his writings. Another person that skeptics accused of being non-existent was King David himself.2 Scholars like N.P. Lemche held that David was mythical and the biblical accounts were put together much later than the events they describe. However, in 1993 at the site of the ancient city of Dan, archaeologists uncovered a stone engraved by an Aramaean king to commemorate his victory over the ancient Hebrews. (2 Kings 8-9). There, he boasts that he had defeated the king of "the House of David." As archaeologist Yosef Garfinkel states, "'House of David,' it means 'dynasty of David.' So we know that there was a guy called David, and he had a dynasty. Okay, so now this is absolutely clear that David is not a mythological figure. So the mythological paradigm collapsed in one moment. "3 Other archaeological finds have confirmed the existence of Caiaphas and Pilate, the Jewish High Priest and Roman procurator who were responsible for putting Jesus to death. These are just a few ways that archaeology helps bring clarity and support to the Biblical accounts. There are many more finds that I can mention, but these are illustrative of how archaeology has shown the stories told in the bible are rooted in history. Tomorrow, I'll look at what archaeology cannot achieve. 1. The Editors of Encyclopædia Britannica. "Belshazzar (king of Babylonia)." Encyclopedia Britannica Online. Encyclopedia Britannica, 17 Oct. 2008. Web. 27 Oct. 2014. http://www.britannica.com/EBchecked/topic/60121/Belshazzar. 2. McKenzie, Steven L. King David: A Biography. New York: Oxford UP, 2000. Print.10. 3. Zimmerman, Erin. "Did David, Solomon Exist? Dig Refutes Naysayers." CBN News. Christian Broadcasting Network, 7 June 2013. Web. 27 Oct. 2014. http://www.cbn.com/cbnnews/insideisrael/2013/June/Did-David-Solomon-Exist-Dig-Refutes-Naysayers/. Many times skeptics charge that people of previous ages believed in the bible and Jesus' resurrection because they were somehow more gullible than the "reasoned" minds of today. Malcolm Muggeridge, in a lecture entitled "The Bible Today" answers this charge with his own counter-charge: modern man is not more skeptical and reasonable. In fact, the opposite is true; as media projects a more authoritative voice, it makes more people willing to believe in anything at all. 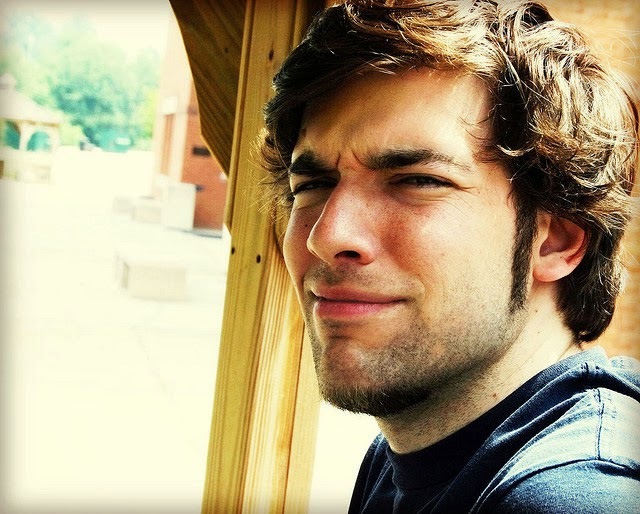 Why Isn't the Skeptic Skeptical About His Morality? The letter writer does touch on issues of the problem of evil that Christian thinkers have taken very seriously over the history of the faith. I've written on it many times as well, and I won't rehash those thoughts here. However, there are some presuppositions that this questions rests upon that should also be examined. From where do you get your understanding of right and wrong? While the last paragraph on my correspondent comes off snarky, the basic question of "How could a loving God allow X" seems to presuppose that the questioner can see right and wrong clearly, and is therefore able to judge the "X" action as good or bad. So, my first question would be "How do you know that the morality by which you are calling God out because He created a world in which hurricanes or earthquakes exist is the right morality? By what standard are you judging God?" In order for good and evil to make sense, there must be an objective moral standard to which all people are obligated. Where did the skeptic's understanding of morality come from? Because he or she is questioning the existence of God, and God is the standard of right and wrong, that one must ask, "then where does your standard of morality come from?" How do you know your morality is superior? The second question I would have to an atheist or a skeptic is simply, "How do you know your moral judgment more correct than God's when judging God's motives?" You see, when ascribing evil to God, one claims a morally superior position. But that's a pretty tough position for humans to take. Especially since no human being has ever been consistent in his or her own moral understanding. We change our minds on morality all the time! Think about this: have you ever previously thought that something was permissible that you now believe is wrong? Have you ever decided that something you thought was wrong is now Ok? I'm not even talking about being inconsistent within one's view, although that happens a lot. An inconsistency is when you believe lying or stealing is wrong, but you fudge your taxes or maybe take some pens from the office and justify your actions in some way. What I mean is real shifts in the way we understand moral duties. Perhaps someone previously felt that any medical testing on animals was wrong, but as they've aged they changed their position on that issue. The morality of allowing homosexual unions has seen great shifts in thinking just in the last five years. Perhaps in another decade it will change again, who knows? Regardless of what position one takes, the fact is that our moral framework is not something to rest on. It shifts too frequently. Therefore, when someone tells me that he or she cannot believe in God because of the evil in the world today, I have to ask, "You're a skeptic. You seem to be pretty convinced, based on your mortality, of God's non-existence. But how come you aren't more skeptical of your own morality?" It seems to me that the morality by which one concludes God doesn't exist is much more tenuous. Perhaps the skeptic's skepticism should start there. Yesterday, I said that many atheists claim they would believe in God if he would only provide better proof for His existence; however the reality is that they probably wouldn't. 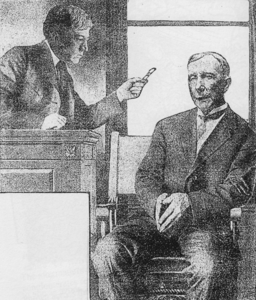 There is always a way of dismissing any type of evidence; one may claim that the evidence could be doctored ("photoshopped" is the convenient claim today) or dismissed in any number of ways. I'm pretty confident of my assertion, because of what I didn't talk about in that post, the fact that God has already provided some very good evidence of His existence which continues to be rejected by the atheists. This blog has looked at different evidences for God in the past. We've discussed the beginning of the universe, its fine-tuning, how God is a necessary being, the existence of minds, and other evidences. However, what if God was to present us with a miracle like Jesus did when raising Lazarus? Or what if God was to appear to the skeptic directly and immediately and say, "Look! I exist!" Would the skeptic believe? Let us assume for the sake of argument that this skeptic does believe. He or she says, "The evidence is now incontrovertible; God exists." Ok, but what happens next? One would expect that the witness to such a revelation would not only change one's mind but also motivate that person to tell someone else about such a remarkable experience. In fact, I can't see how such a belief-changing experience could be kept to oneself. That former skeptic would be grabbing everyone who would listen and proclaim that, finally after all these millennia, God has indeed shown Himself to be real. 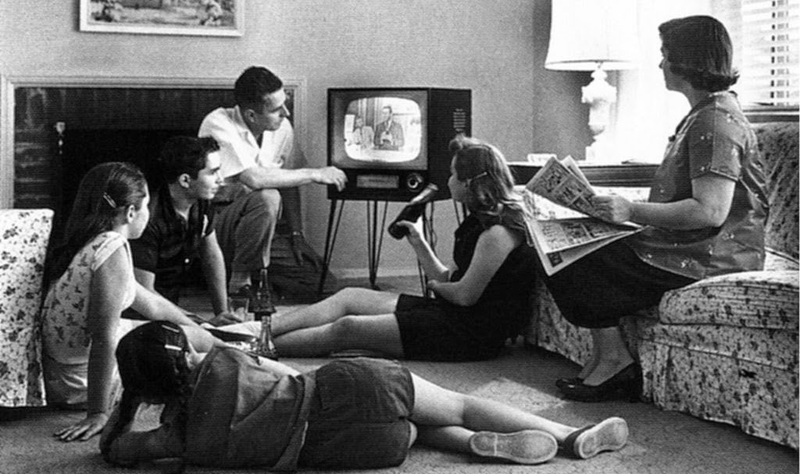 But when our skeptic relays this experience to friends and family, then what? Should they say, "Well, that may be what you have seen, but since I didn't have the same experience I won't believe until God reveals Himself to me directly, too!" According to such a criterion of proof, God would need to reveal Himself to all those our skeptic tried to convince, regardless of whether they may believe or not. What about the next day or a week later when life returns to normal and the skeptic begins to doubt whether the whole thing was real or perhaps the result of too many nerves, too little sleep, or an overindulgence of alcohol? Is God obligated to do it again and again? One can quickly see that demanding God to provide incontrovertible evidence quickly devolves God from the ruler of the universe to someone who must constantly answer to the demands for proof by His creation. It not only makes no sense, but no God worthy of worship would stoop to such demands. It assaults His dignity. The fact is that God did provide real evidence to skeptics; Jesus appeared to Saul of Tarsus who at the time had a singular goal of wiping out anyone who extolled the name of Jesus of Nazareth. Saul testified over and over of Jesus' direct appearance and His rising from the dead. The Jews rejected his testimony when he told them and skeptics today continue to reject his testimony. Yet, his conversion is compelling and the historical evidence supports Jesus' resurrection from the dead. Whether Paul was talking with you face to face or you're reading his direct testimony contained in his correspondence (1 Corinthians 15:3-8 especially), it becomes too easy to be skeptical for skepticism's sake. Think of it another way. God sacrificed His only Son for the sake of man's salvation. This is the greatest sacrifice and act of love anyone could ever perform. Jesus was then raised from the dead, testifying that He really was the Son of God and He did have the power over death and hell. To respond like Bertrand Russell did and say "Sir, why did you not give me better evidence" is insulting beyond measure. God does not exist to appease the whim of man. God's hiddenness is a sign of His holiness and transcendence. We do have plenty of evidence for God's existence and not just Paul's testimony. We have multiple accounts from antiquity of Jesus' resurrection. We have the testimony of nature. We have the prophecies of the Bible fulfilled. For those who choose to reject it, I doubt that any evidence would ever be enough. Is it really a contradiction? Remember, I said at the outset that a contradiction is a very specific thing – it must show that the statements are making competing claims about the same thing at the same time. If it can be shown that another understanding of the text is not only possible but would be reasonable, then the charge of contradiction evaporates. 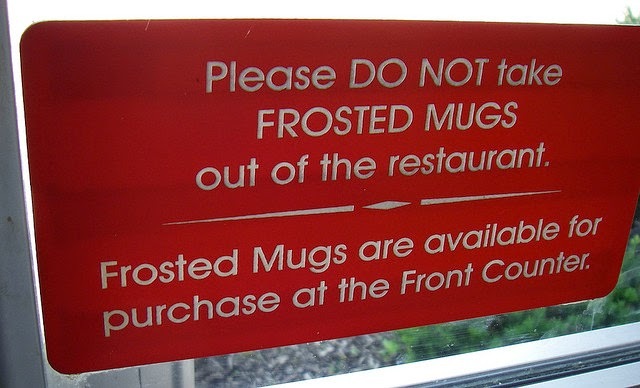 Read the text carefully. Words like "after these things" could mean a significant gap in time. Ignoring them is one way to snub style. With 2,000 years or more between those that wrote the biblical texts and us, it is very easy to misunderstand the intent of the author. Both Snubbing Style and My Way or the Highway make this kind of mistake, but in different circumstances. Round numbers, shortening chronologies and estimating timelines within days instead of minutes are all considered appropriate in ancient literature. Robot Reporting is really a very recent approach to telling a story. As timekeeping improved, so did the precision in recording time. The Bible itself is an archaeological document – and one of the highest caliber. Therefore, it should be treated as trustworthy. If another document calls into question the Biblical text, why should one assume the Bible to be in error? One thing that always amazes me is how when a critic finds ancient texts that bring the accounts of Jesus into question, they never subject the competing claim to the same critical standard as the biblical text. The so-called "lost gospels" are a prime example of given them the benefit of the doubt while the Bible is supposed to be overwhelmingly convincing. 1. Dr. Craig Blomberg writes "Once one accepts that the Gospels reflect attempts to write reliable history or biography, however theological or stylized their presentations may be, then one must immediately recognize an important presupposition that guides most historians in their work. Unless there is good reason for believing otherwise, one will assume that a given detail in the work of a particular [ancient] historian is factual. This method places the burden of proof squarely on the person who would doubt the reliability of a given portion of the text. The alternative is to presume the text unreliable unless convincing evidence can be brought forward in support of it. While many critical scholars of the Gospels adopt this latter method, it is wholly unjustified by the normal canons of historiography, Scholars who would consistently implement such a method when studying other ancient historical writings would find corroborative data so insufficient that the vast majority of accepted history would have to be jettisoned." From Blomberg, Craig L. Historical Reliability of the Gospels. Downers Grove, Il: IVP Academic: 2007. 304. 2. Miller, David Ian. "FINDING MY RELIGION: Julia Sweeney talks about how she became an atheist." San Francisco Chronicle 15 August 2005: Accessed online at <http://articles.sfgate.com/2005-08-15/news/17384089_1_religious-los-angeles-dear-god>. 3. John W. Haley's book Alleged Discrepancies of the Bible underscores my point. Originally published in 1874, it continues to answer almost all alleged contradictions offered to this day. To check it out, see Baker Books republished version here. 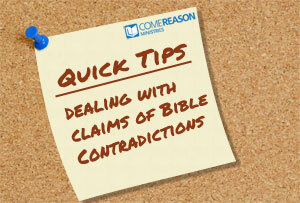 Bible Contradictions - Differences between Accounts Is Actually a Positive! As we begin to wrap up our study of the different types of charges against the consistency of the Bible, we find that many of the claims of contradiction are really nothing of the sort. They are merely products of an author using the language, styles, and categories of his day, or perhaps trying to emphasize a particular point or teaching of his subject. Where two or more authors conflict, we can look to the authors' different goals in writing and see that they would report events differently. Regardless, the previous explanations show why the claims that the Bible cannot be the God's Word because it contains contradictions falls away as acceptable alternatives are available for these differing objections. However, I want to bring up one additional point not often heard when discussing the differences in the Bible and specifically in the gospel accounts. I have claimed previously that the gospels are eyewitness testimony. Either eyewitnesses or close associates who interviewed the eyewitnesses wrote the gospels. The fact that accounts of Jesus' resurrection vary in theme and detail actually strengthen the claim these were eyewitnesses instead of people who all conspired to make up the same story. You see made up stories only deal with main events and they only have one particular point of view. When people get together to invent a fable, they don't worry about the details. You know Hansel and Gretel had bread with them in the forest, but you don't know which forest they were in or what type of clothing they were wearing. These things aren't deemed important to the story so they aren't considered. All accounts of Hansel and Gretel are pretty much the same—which means they all stem from one source. So, the fact that the gospel accounts differ from each other is actually a good thing! Eyewitnesses will report different aspects of an event because each has a different perspective. It means that the writers didn't conspire to make up one story but are reporting events with the impressions the witnesses really had. 1.Wallace, J. Warner. Cold-Case Christianity: A Homocide Detective Investigates the Claims of the Gospel. (Colorado Springs, CO: David C.Cooke Pub, 2013). 71. We're on the home stretch of a series I've been posting covering various types of contradictions that the Bible has been accused of. I've grouped the nature of the accusations into three main types of errors: expecting "robot" reporting, snubbing style to force meaning, and demanding "My way or the highway." For the full list of links to the series, click here. Here's a couple more from our last category. Since the Bible claims to report historical events, people have sought to show that it reports history unreliably. They will sometimes point to different Gospels reporting the same event, but recording that it occurred at different times or in different circumstances. But it shouldn't surprise you that the way people report historical events has changed a bit in the last 2000 years. Scholars note that ancient historians would not always feel compelled to report the events of a person's life in the chronological sequence in which they originally occurred. Sometimes they were more concerned about displaying a certain aspect or character trait of their subject, so they would assemble different events around a central teaching or significant point to substantiate their claim.1 Therefore, Matthew felt he had the freedom to report the temptations of Jesus in the wilderness in a different order than Luke. Many times the claim of contradiction is raised when different gospel writers offer seemingly conflicting details on a particular event. For example, Jesus' sermon containing the Beatitudes ("blessed are the poor in spirit… etc") is famously called "the Sermon on the Mount" since it begins with Jesus going up on a mountain with His disciples following Him. But Luke records that Jesus stood in a level place when preaching the Beatitudes, so it sounds like Luke contradicts Matthew. Of course there could be a level place on the mountaintop, such as a plateau, where Jesus decided to preach this sermon. That would remove the contradiction. However, it is also possible that Jesus preached the same sermon more than once in different locations! If the principles of a teaching were important, then it stands to reason that Jesus would want to let many people in different locations hear the message. There were no newspapers or tape recorders in those days; then only way to disseminate your teachings quickly is to repeat them. Even today, speakers will recycle full speeches to different groups so that all get to hear the principles that they feel are worthy of more attention. Either way, this cannot be used to prove a contradiction since either explanation is a plausible possibility. Example: Did Jesus cleanse the Temple at the beginning or the end of His ministry? All four gospels tell of Jesus driving out the moneychangers from the Temple in Jerusalem. Matthew, Mark and Luke have this event happening in the final week of Jesus' ministry, while the gospel of John records it very early in chapter two. Is this a contradiction? No. It's possible that John is not sticking to a strict chronology, but recording the cleansing of the Temple early. John's Gospel is structured differently from the other three in that John uses seven events to instigate seven major discourses by Jesus, each emphasizing a specific aspect of Jesus' divine nature. But scholars also recognize that it's quite likely that Jesus cleaned the Temple twice in His ministry - once at the beginning and once in the final week before His crucifixion. The accounts seem to differ in tone (Jesus was thoughtful in John, making a whip with cords and preplanning the event and He told the sellers "stop making My Father's house a place of business" while in the other accounts the actions seem more immediate and Jesus' speech is more aggressive, saying "You have made [this place] a robber's den." Since John records at least three Passover visits by Jesus to Jerusalem, it would not be a stretch to believe that within two or three years, the moneychangers had come back to the Temple and once again set up shop. There was good profit in selling to worshipers and the priests were considered the real authority for the Temple, not Jesus. Therefore, it is likely that Jesus coming back to the Temple saw the re-established merchants and again drove them out. 1. John W. Haley notes that other historical accounts have taken this approach. "From the pen of one writer we receive an orderly, well-constructed biography; another gives us merely a series of anecdotes, grouped so as to suit some trait, sentiment, or habit of the person described. Thus, in Xenophon's Memorabilia, we do not find a proper biography of Socrates, but we see various points in his life and character set forth by anecdotes respecting him and by reports of his discussions." The third major way critics will try to claim a contradiction within the Biblical accounts, is to make the mistake I call making it "My Way or the Highway." Basically this means we take our modern biases and understanding of what we think writing should be and try to apply it to people writing in the ancient past. This is a little different than snubbing style, in that snubbing style usually ignores the intent of the author while My Way or the Highway forces accepted modern approaches as universals to which ancients were somehow supposed to adhere. Many times in these instances, there are facts in dispute – not merely perspective or idioms. The easiest of these to see is our first example: using modern definitions or classifications and forcing them on ancient writers. The history of the advancement of science has been fueled to a great degree by the Christian worldview. Christians knew God was a god of order and He would create an orderly world that would be consistent, knowable and classifiable. Because of this, they took to exploring their world, learning more about it, and sought to place this knowledge into categories. So, for example, scientists have developed a classification system for all living things known as biological taxonomy. Your pet dog is part of a larger group (known as a genus) called Canis, including wolves and coyotes. They are part of a larger family of animals that include jackals and foxes, which are still part of a larger grouping of carnivores: or meat-eating mammals. This idea of grouping things together makes a lot of sense, but the precision and granularity we see now is a relatively recent invention. It has only being around for some 300 years or so.1 Yet it's a popular ruse to use scientific definitions that weren't even invented during Bible times to show that the Bible's in error. For example, some object to Leviticus 11:13 classifying a bat as one of the birds since bats are mammals. However, grouping animals by the fact that they have fur over the fact that they fly is purely arbitrary choice on our part, a choice that was made some 3000 years after Leviticus was written! This is in no way a mistake or contradiction, it's simply the critic trying to force a modern definition on a passage where the writer was using a completely different one. 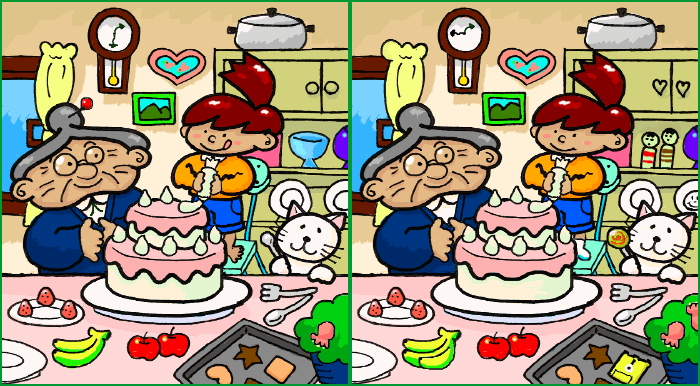 Example: Does the Hare Chew Cud? Cud chewers today are recognized as animals such as cows who chew their food, swallow it, then regurgitate it and chew it some more. Rabbits and hares, however, do not have a chambered stomach such as the cow to regurgitate food. Instead, they let some their food pass through their digestive system and expel it where they then take it and rechew it again. This process is known as cecotrophy. (It should be noted that they are not chewing dung as the makeup of the cecotrophs is quite different than their waste). We are currently reviewing different ways critics make mistakes when accusing the Bible of being self-contradictory. In our last post, we saw that people sometimes claim the Bible has a contradiction when it is really only using phenomenological language. Today, we'll look at two additional ways critics snub style to force meaning. 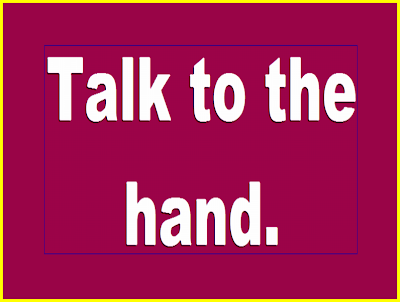 Every culture has expressions of speech they use to communicate quickly and colorfully. Teens do this naturally; what used to be hip became groovy which turned into cool, then phat. However, some people try to snub style by forcing common sayings—known as idioms—to be understood literally. This simply proves the objector is not treating the text fairly. I remember hearing a story where a translator was helping a person visiting Russia. Getting to the train station minutes before their departure, he told a local that they had made it by the skin of their teeth, which the translator repeated verbatim. The Russian looked at the man and was quite perplexed. Teeth don't have skin! So the man had to interpret the meaning of the idiom in order for his listener to understand what he was saying. Similarly, ancient people also had idioms that they used to speak in a particular way. When you look at the accounts of the crucifixion and resurrection, it seems that Jesus was wrong. He died on Friday evening and was resurrected before daybreak on Sunday morning. That's maybe 36-38 hours at the most, not three days AND three nights. But in Hebrew speech any part of a day is referred to as a whole day. We can see this in the passage of 1 Samuel 30. Here, David had been fasting before God to conquer the Amalekites, since they had ransacked southern Israel and captured many people including David's wives. After his victory, verse 12 says that David "had not eaten bread or drunk water for three days and three nights." But in verse 1, it clearly states that David overtook the Amalekites on the third day, not afterwards. So, here is another instance of the phrase three days and three nights not being used literally, but an expression for covering at least part of a three day period. One final way critics will snub style is to view a retelling of an account as a contradiction simply because it is emphasizing a different aspect of the same event. For example, the book of Kings and the book of Chronicles offer similar stories of the Kings of Israel and Judah, but the writers there were hoping to make different points. The author of the books of Kings is more concerned with the way God orders the events of history and downfall of the nation's leadership while the author to Chronicles emphasizes the apostasy from the Davidic covenant and temple worship. Example: Are Genesis 1 and Genesis 2 competing creation accounts? In the first chapter of Genesis, God creates the plants first (day three), then the birds and fish (day four), then the animals, and finally man and woman (day 6). However, Genesis 2 seems to say that man was created first, then the plants, then all the animals, and finally woman. Aren't these contradictory? The answer is no, because the accounts are really not talking about the same things. The best way to understand the creation story is to see Genesis chapter one as an overview of all God did to create the heavens and the earth. Then, like a movie plot that backs up to show the details of a particular event, Genesis 2:4 zooms in on the last creation day to tell the events there. First, planting "a garden toward the east" does not mean that God hadn't already created plants and animals elsewhere. In fact, because the location of the garden is qualified ("toward the east") it implies that this activity is very localized. God could simply be recreating plants and animals specifically for Adam. The language could also be perspective-driven; God's previous action of creating animals from the ground is restated while underlining that the animals were to be subservient to man. We use language the same way today. We may tell a friend "this car was built for you" to someone who finds a car they that fits their personality. Either way, the claim of a contradiction doesn't stand. I've been going through some of the so-called contradictions that many Internet skeptics accuse the Bible of having. We're currently talking about the assumption of "Robot" Reporting, that is expecting historical books like the Gospel accounts to have been written in mechanical fashion instead of understanding that the authors would write history the same way other ancient writers recorded the events of their day. We've already talked about one way skeptics fall into the Robot Reporting trap: assuming the Gospel accounts should read like court transcripts. Another reason not to expect robot reporting is the issue of language. Jesus probably taught the Judean crowds in Aramaic, the language of that land. However, the world wouldn't understand Aramaic, so the gospel writers wrote in Greek. Any time you translate from one language to another, it's impossible to record a word-for-word transcription of a teaching—and that's true even today. Since writing was such a big deal, most of the stories of ancient times were received and passed on through verbal repetition. In other words, people talked to one another and would tell the stories that they had heard. As we said in chapter five, people in ancient days made up for the fact they didn't write by honing their skills to memorize long narratives of text with remarkable accuracy. Because memorizing played such an important role in keeping the stories clear and correct, writers of the ancient world had to different approach to recounting lists and facts. Using abbreviated lists or rounding numbers to keep them simpler and easier to remember was not only an accepted practice, but the audience would understand that the writer wasn't trying to give exact counts or name every father/son relationship from person A to person B. "So all the generations from Abraham to David were 14 generations; and from David until the exile to Babylon, 14 generations; and from the exile to Babylon until the Messiah, 14 generations." The genealogy of Jesus we read in Matthew 1:1-17 is a prime example of how ancient writers would keep the integrity of a list intact, but make is easier for people to remember. If we were to compare the lists of Judean kings presented in the books of Kings and Chronicles with Matthew's list, we'll find that Matthew purposely left out some of the kings in order to have three equal groupings of fourteen with each grouping tying into a landmark event in the nation's past. Since the term "father" can also mean grandfather or ancestor, we can see that it being used in a different manner, and therefore is not a contradiction. The last way that critics make the mistake of Robot Reporting is to assume that any errors found in the text must've been placed there by the authors themselves. We can see through history that this is clearly false, as many times scholars have identified an error in a number that a scribe made while copying the text. Indeed, a famous example of this was the so-called "Sinner's Bible" that was published in 1631. This King James Version accidentally left out one "not" from the entire bible when printed — unfortunately, it was left out of the seventh commandment which then read "Thou shalt commit adultery!" God never promised that every copy of a Bible book would be preserved. 2 Peter 1:21 locates the Spirit's work of inspiration at the moment of the production of the texts by the authors. But no biblical text indicates that copies would be kept free from errors. Now, as we talked about in chapter five, sine we have so many copies of New Testament texts, we can know with over 99% certainty what the original texts actually said. And since the discovery of the Dead Sea scrolls in 1947, we've seen that the Hebrew Old Testament text has been preserved with amazing accuracy even after 1,000 years of copying. Example: Solomon's Horses — 4,000 or 40,000? 2 Chronicles 9:25 reports Solomon had 4,000 horses while 1 Kings 4:26 reports 40,000. Since letters were used for numbers in ancient Hebrew (like Roman Numerals) a copyist mistook one character for another, similar looking one and thus the error.